Bronze medallist in the Cadet Boys’ Team event, one day later, Friday 12th May, Chinese Taipei’s Peng Chih emerged the player to cause the biggest upset in the group qualification stage of the Junior Boys’ Singles event at the SET 2017 Thailand Open in Bangkok. Not only did the 14 year old spring a surprise, in addition the dented the aspirations of the host nation. 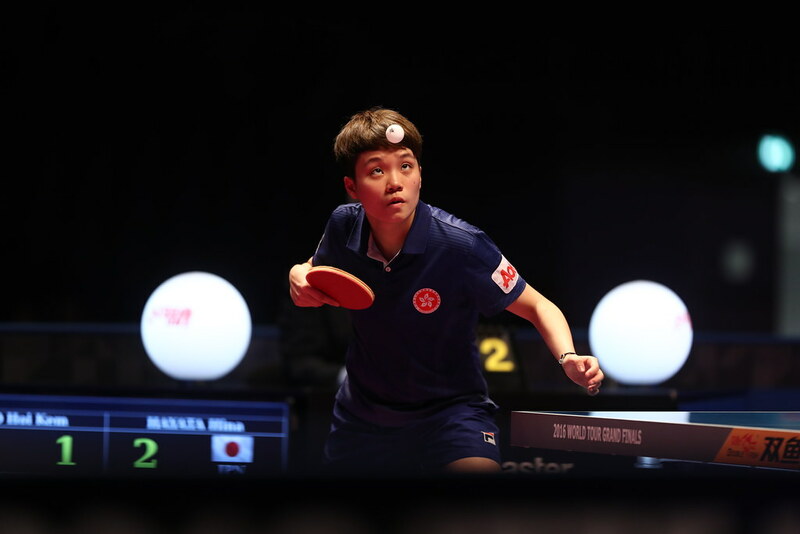 In his opening contest, he beat Thailand’s Yanapong Panagitgun, the no.5 seed and silver medallist on the 2016 ITTF World Junior Circuit in both Qatar and Jordan, in tense full distance five games encounter determined by the narrowest of margins (7-11, 11-8, 10-12, 11-7, 11-9). A notable win to start the game; on his second visit to the table, full of confidence, he accounted for Hong Kong’s Baldwin Chan Ho Wah in three straight games (12-10, 11-9, 11-6). One match remains in the group for the Chinese Taipei teenager; he faces Singapore’s Jabez Mason Law. Earlier in the day, Jabez Mason Law accounted for Baldwin Chan Ho Wah (9-11, 11-7, 8-11, 12-10, 11-6). Success against the odds for Peng Chih; it was the same for India’s Parth Virmani, Thailand’s Purit Verakultawan and Hong Kong’s Lau Chun Kit. After accounting for Kazakhstan’s Aidos Kenzhigulov (4-11, 12-10, 8-11, 11-9, 11-4), Parth Virmani overcame Qatar’s Mohammed Abdulwahhab, the no.8 seed (13-11, 11-6, 9-11, 5-11, 11-9) to end the day unbeaten. He now meets Thailand’s Jetaphat Petsunthad, who experienced defeats at the hands of both Mohammed Abdulwahhab (11-8, 11-7, 11-6) and Aidos Kenzhigulov (9-11, 14-12, 11-8, 8-11, 13-11). Similarly, Lau Chun Kit, following success in opposition to Sweden’s Jens Holmqvist (11-7, 11-6, 11-3), raised the eyebrows by beating Singapore’s Pang Yew En Koen, the no.15 seed (11-9, 12-10, 5-11, 8-11, 11-6). One match remaining, Lau Chun Kit faces Malaysia’s Sam Yuk Siong; he was beaten in the opening match in the group by Pang Yew En Koen (11-2, 11-9, 11-8), prior to experiencing the same fate when opposing Jens Holmqvist (6-11, 4-11, 11-5, 14-12, 11-9). Hopes high for a place in the main draw for Lau Chun Kit; for Purit Verakultawan matters are in the balance. He caused a surprise by beating Hong Kong’s Cheng Pak Hei, the no.10 seed (13-11, 11-4, 11-6) but in his opening encounter he had experienced defeat when opposing Japan’s Seiya Nishimura (11-5, 11-7, 11-4). Notably Seiya Nishimura, maintained his form to overcome Chinese Taipei’s Huang Yu-Jen in his second contest of the day (12-10, 9-11, 10-12, 11-1, 11-4). Surprises in the initial stage of the Junior Boys’ Singles event but not where the leading names where concerned; Chinese Taipei’s Feng Yi-Hsin and Li Hsin-Yang, the respective top two seeds, ended their day unbeaten and in first places in their groups. In similar imposing form, India’s Manav Thakkar, the no.3 seed and Tai Ming-Wei, also from Chinese Taipei, the no.4 seed, maintained an unblemished record. Each has one match to play in order to conclude in their first stage itinerary; the qualification phase finishes on Saturday 13th May. World Junior Circuit 2017 Thailand Junior &amp; Cadet Open SET 2017 Thailand Open in Bangkok.